Massive amounts of encoded phased array data can be collected very rapidly. Often, the bottleneck of the phased array inspection workflow is the analysis step. 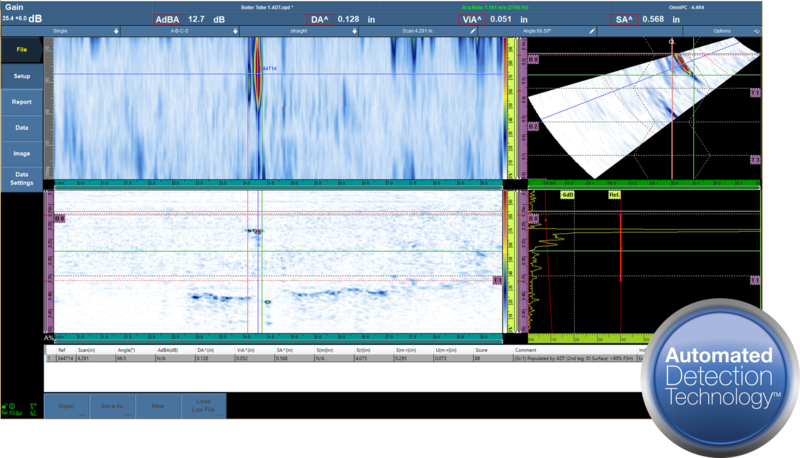 Automated Detection Technology (ADT) is a powerful software solution created to speed up and improve the quality of phased array encoded weld data analysis. 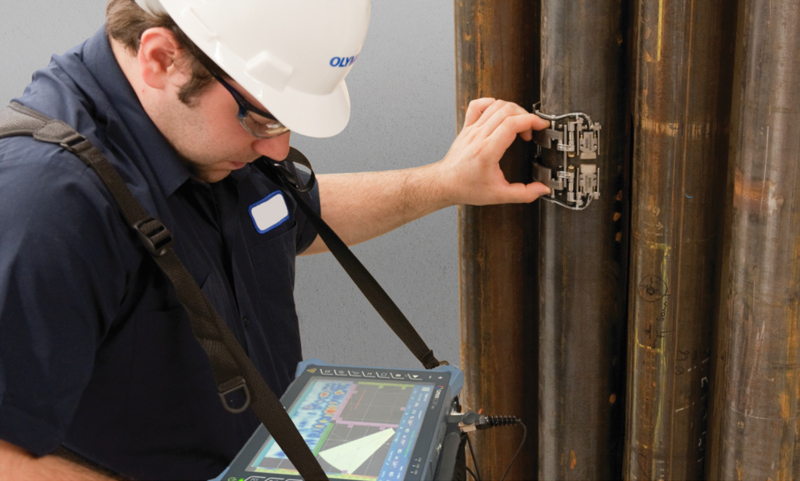 ADT rapidly processes phased array weld data for final analysis in Olympus® OmniPC™. Automated Detection Technology Software sends results directly to the indication table in OmniPC™ along with all associated readings. Several intelligent auto-commands of the OmniPC™ environment are added for quickly moving through multiple groups and down the weld. Data analysis starts with good data. ADT identifies and reports data issues like data dropout and loss of Couplant, helping ensure that you have quality data. ADT also makes it easier to confirm compliance to scan plans and procedures without opening files. Immediately after processing a detailed report is available. Suitable for both primary and secondary review, the report highlights quality issues, provides valuable S-Scan and C-Scan plots, and individual tables of results. Reporting forms a connection from the raw data to the final report. backlog of many Gigabytes of data." for reports, and quality repetitive reporting." Phased Array Ultrasound (PAUT) and Radiography (RT) are often considered when choosing an auditable volumetric inspection technique for welds. Both have unique advantages under different circumstances. One possible deterrent for using Phased Array for inspections is the time it takes to analyze the data for final disposition. With Automated Detection Technology™ (ADT) software, analysis time can be dramatically reduced. 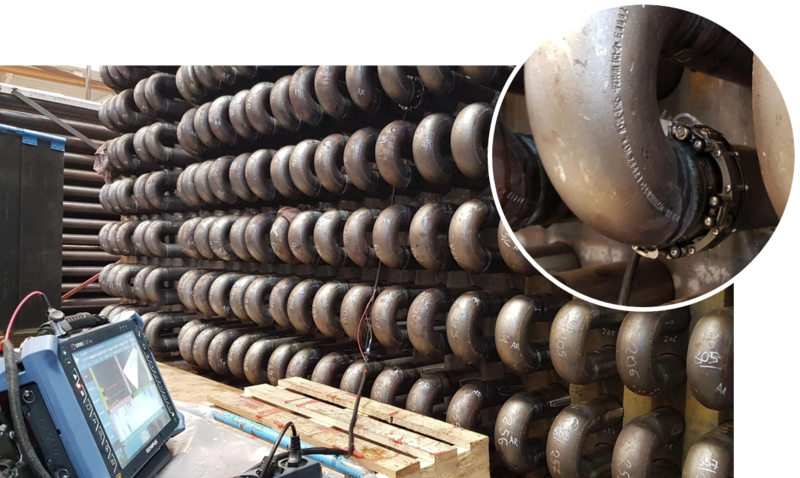 A client in southwest Germany had a need for over 1500 boiler tube welds to be volumetrically inspected. Initially, the client requested that radiography be performed. Dreifeld reviewed the client’s request and estimated it would take a minimum of 50 days to complete the radiographic examinations with a 2-man RT crew. The required timeframe for radiography would not meet the client’s needs. An alternative method could be to perform encoded Phased Array inspection with routine manual analysis, but this would still take considerable time. Instead, Dreifeld proposed performing encoded Phased Array utilizing a new software technology to reduce inspection time and stay on schedule. With just one operator, the inspection project was sure to be a challenge to stay on schedule. In general, small diameter pipes can be difficult to analyze due to the thin wall thickness, extreme curvature and the prominent ultrasonic response and mode conversions from geometric reflectors. With ADT Priority MultiWeld, Dreifeld was able to complete 1604 boiler tube weld inspections in just 8 days. This was a tremendous accomplishment over the estimated 50 days it would take to RT the welds. By utilizing ADT Priority MultiWeld, multiple weld data sets could be processed simultaneously. On average, Dreifeld was able to scan and analyze 200 welds per 10-hour workday. On their most productive day, the operator was able to scan and analyze 320 welds utilizing ADT. One benefit of ADT Priority MultiWeld is that the results are sorted from most severe to least severe, allowing the operator to prioritize analysis and reporting. With Automated Detection Technology™ software from VeriPhase, one operator was able to inspect 1604 welds in just 8 days. The project was completed on schedule while performing 6 times faster and at a fraction of the cost of alternate methods. This has been a breakthrough in the inspection industry setting a very important milestone. Congratulations to Dreifeld on this accomplishment! Contact your VeriPhase Representative to obtain login credentials. VeriPhase is a registered trademark, and Automated Detection Technology is a trademark of VeriPhase, Inc.